Well it certainly is all about planes, trains, and automobiles at the North Carolina Transportation Museum. 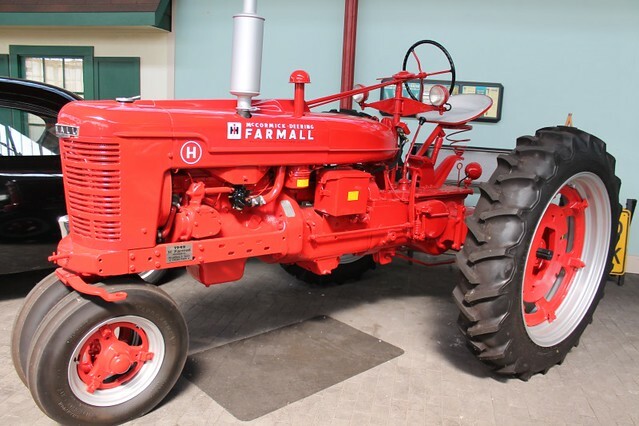 Located midway between Charlotte, NC, and Greensboro, NC, the N.C. Transportation Museum is located at the site of the former Spencer Shops in Spencer, NC, and offers a glimpse back in history for all ages. The site once housed the largest steam locomotive servicing facility for Southern Railway Company because of its strategic location midway between Washington DC and Atlanta, GA. Due to the increase in diesel locomotives in the mid 20th century, there was no longer a need for a steam servicing facility and the shops eventually closed. 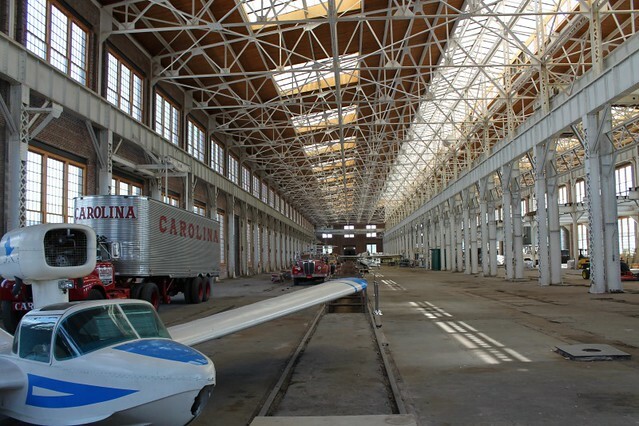 In the late 1970s, the land and buildings were donated to the state of North Carolina. 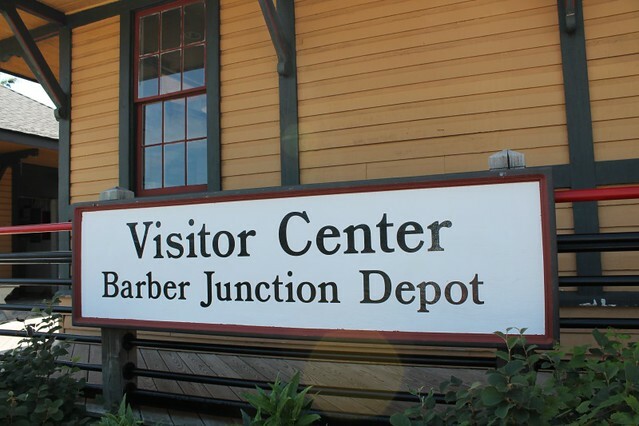 Upon arriving at the North Carolina Transportation Museum, you are greeted at the Visitor Center in Barber Junction Depot. It was the original passenger depot in Barber, NC, and was relocated to the NC Transportation Museum in 1980. 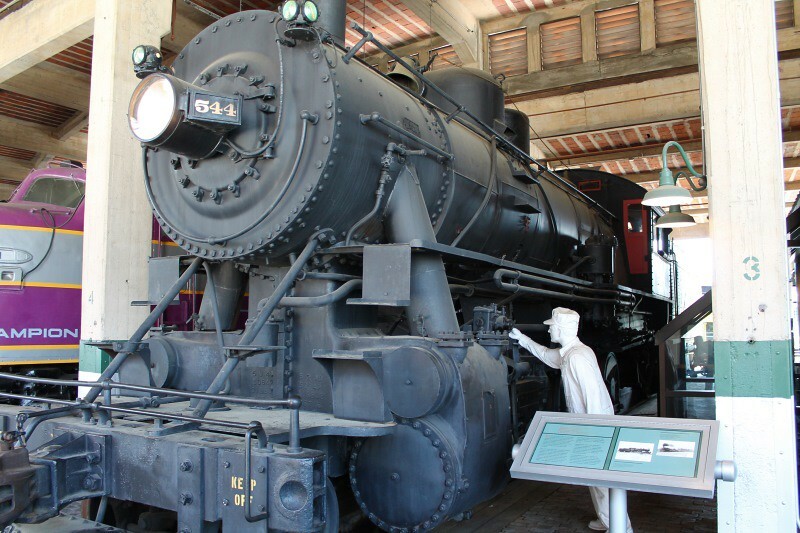 Here is where you can buy a ticket for the museum, a ticket to ride the train, or both. The 25 minute on-site train rides are given in restored passenger cars pulled by antique steam and diesel locomotives. 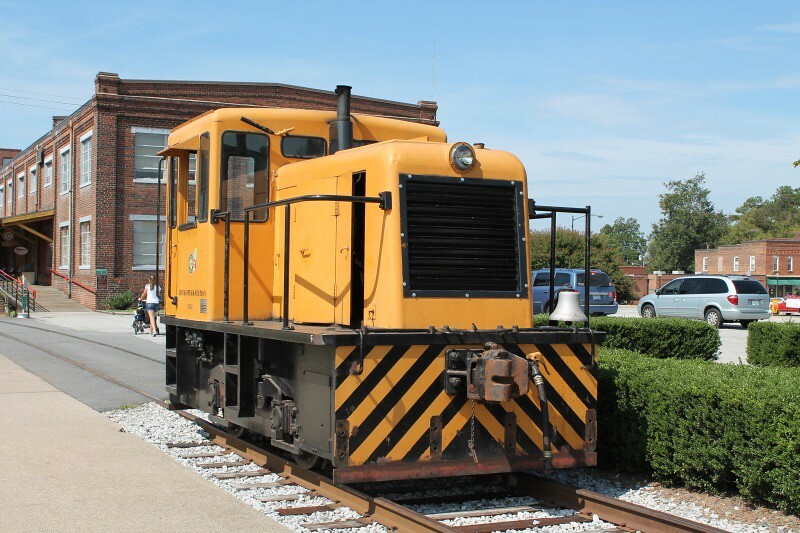 Since the NC Transportation Museum sits on 57 acres of railroad history, you can expect to see a lot of train related exhibits like this 1953 General Electric locomotive. 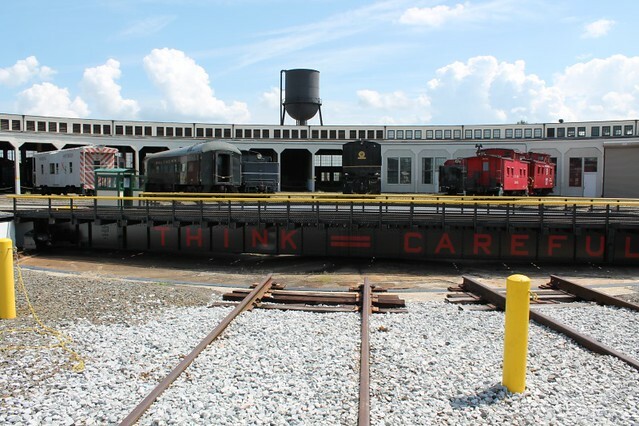 It was used by Duke Power for nearly 40 years to move rail cars around one of its plants. 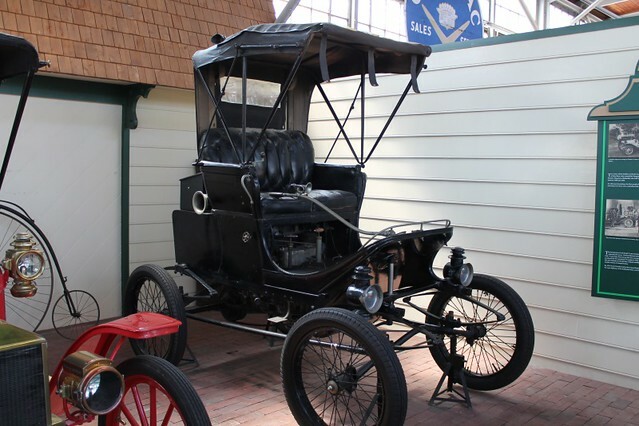 If you hang around long enough, you may be lucky and get to see it in action around the museum. 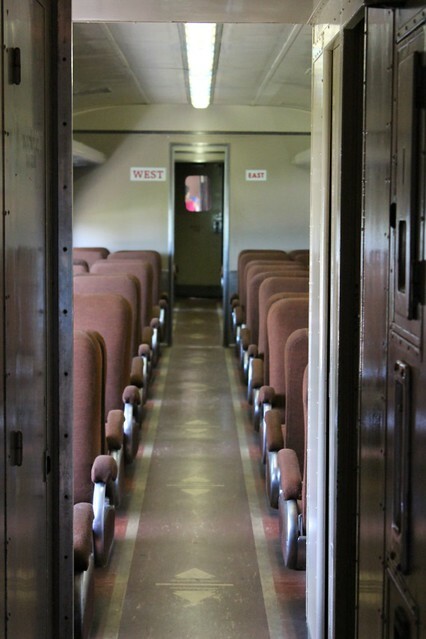 There are rare exhibits like Seaboard Air Line #544. 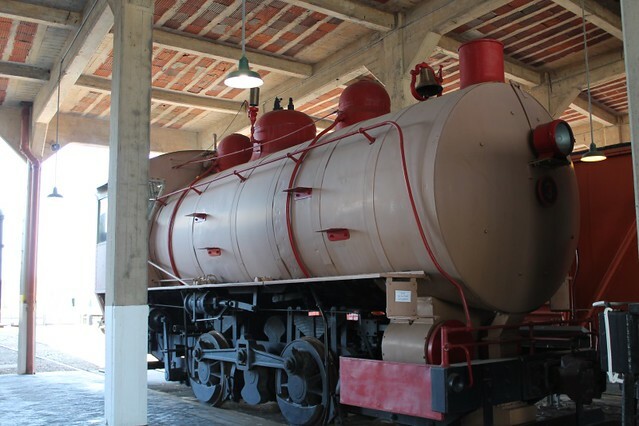 This 2-10-0 Decapod steam locomotive (10 driving wheels) was built in 1918 for the Russian State Railroad but was never delivered due to the Revolution of 1917. It was converted to be used on United States railroads instead. 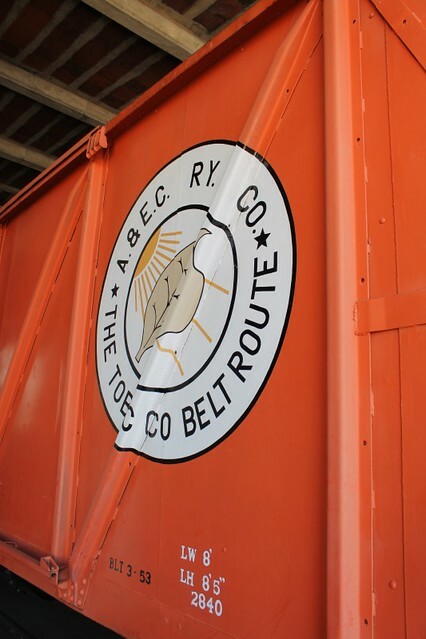 Another highlight is the Atlantic Coast Line #501. 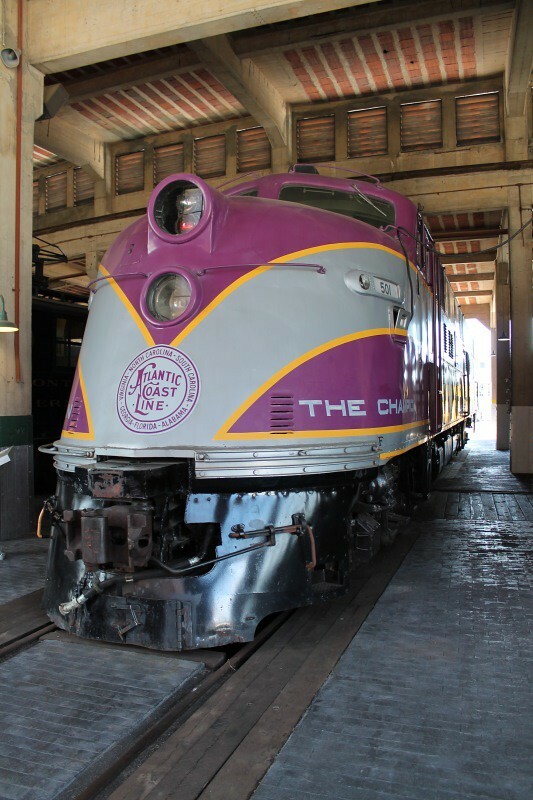 Built in 1939, this E series diesel locomotive was one of the first high production models and provided service between New York City and Miami. 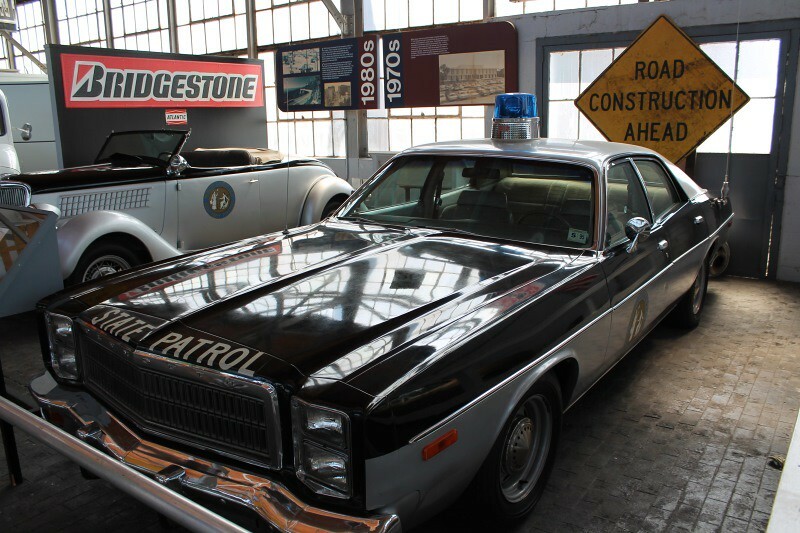 During its 31 years of service it operated over 6 million miles making it the most traveled E unit in US history. A unique locomotive is the Carolina Power and Light #3 0-4-0 switcher fireless steam-storage locomotive. The unusually large insulated tank replaces the firebox and boiler. 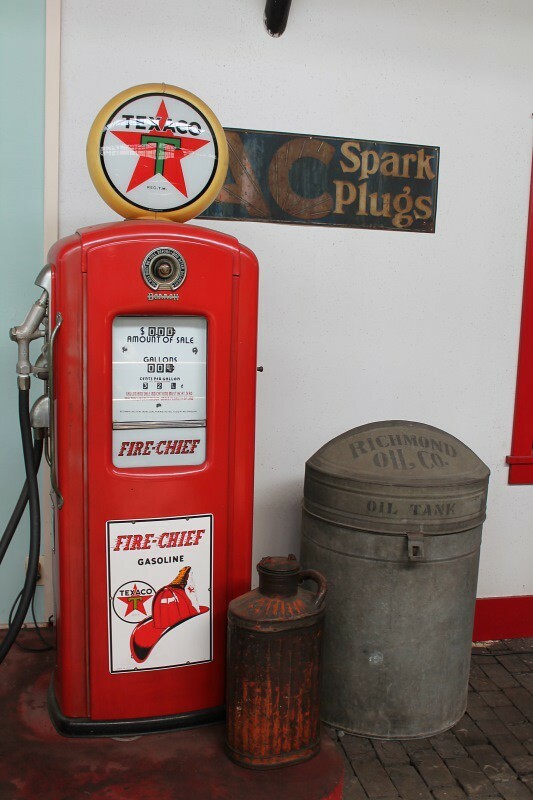 Instead of generating its own steam, it was charged from an external source allowing it to work in yards where a large supply of steam was available and where burning cinders were dangerous. 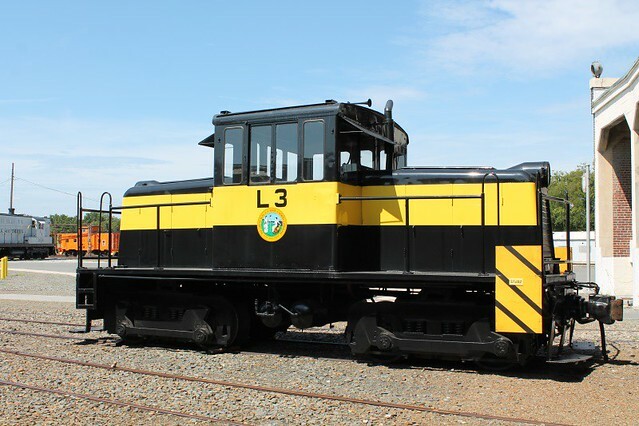 While some locomotives have come and gone and others have returned again, there are locomotives like the NC Ports Authority #L-3 who have spent their entire career in North Carolina. This 1943 45-ton switcher was used by the Port Authority in Wilmington, NC to move freight around the port. 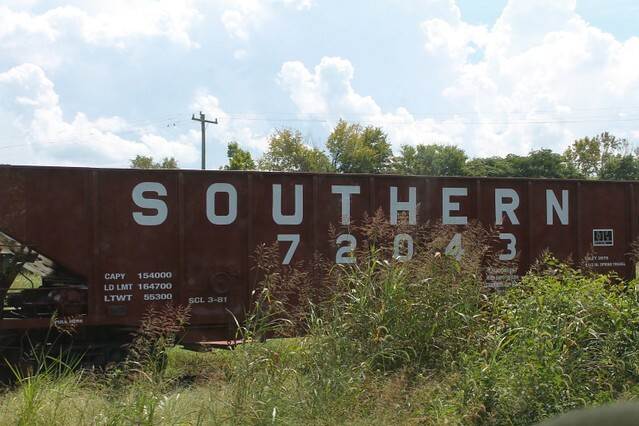 This restored boxcar pays homage to tobacco, a major crop for North Carolina over the years. 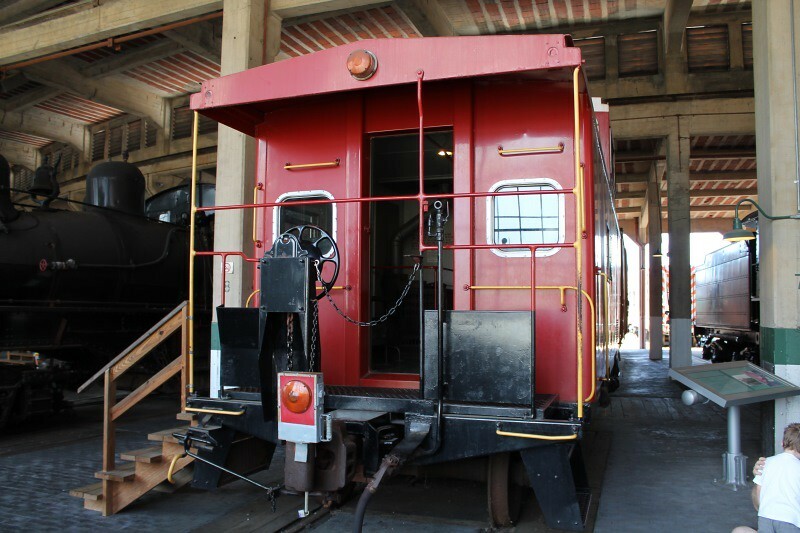 Not only is this facility a museum, it is also a working shop where trains and cars are restored for future generations. Many of the locomotives and cars are located in or near the Roundhouse which was designed for minor repairs. This 37-stall Bob Julian Roundhouse is believed to be largest remaining roundhouse in the United States. 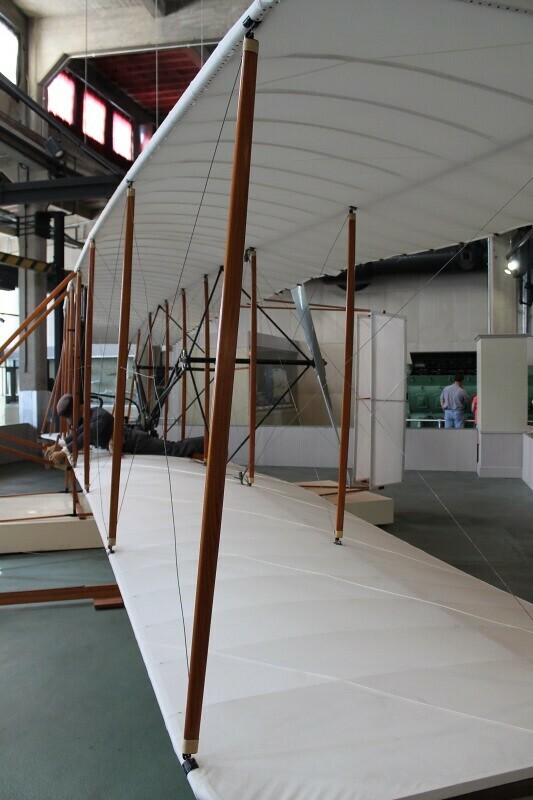 The roundhouse also includes other exhibits on rail history as well as a small aircraft display including this replica of the Wright Brother’s flyer. 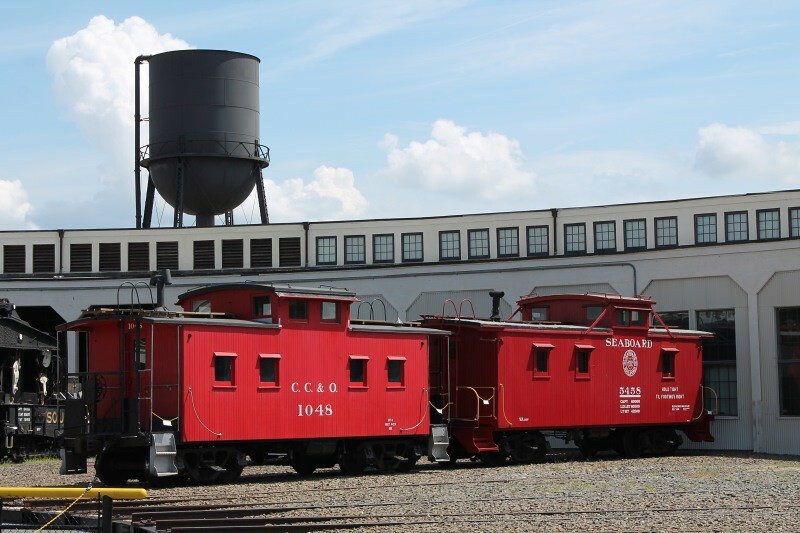 Roundhouses are named as such because they are essentially round. 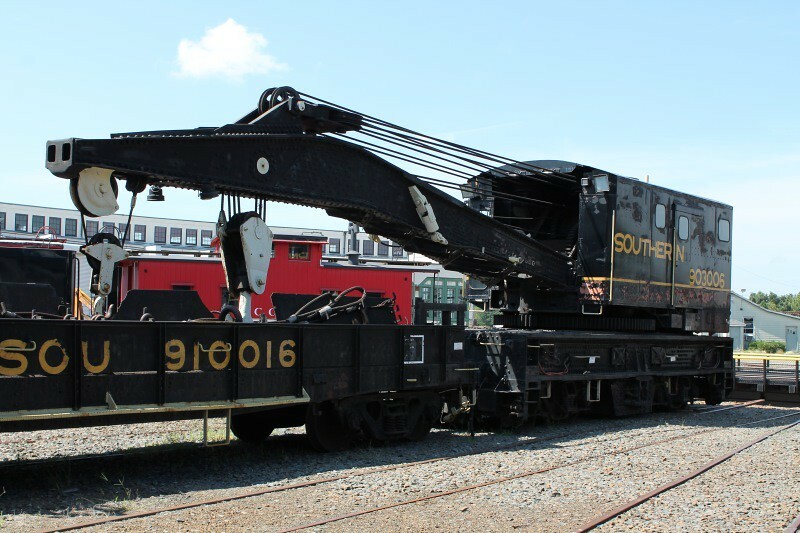 This allows the turntable to rotate and reposition the respective locomotive or car to the appropriate stall. 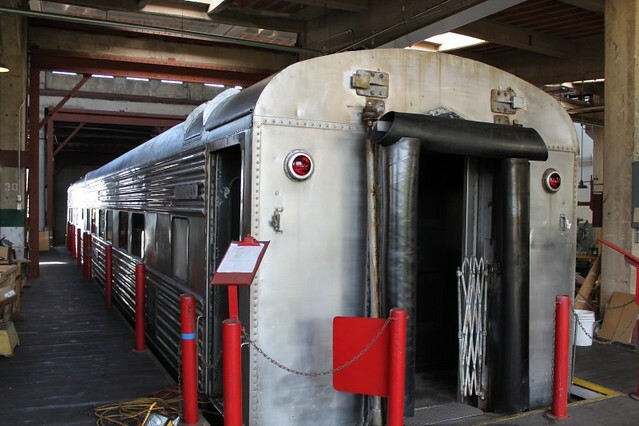 For the more adventurous, you can ride the 100 foot turntable for a fee. 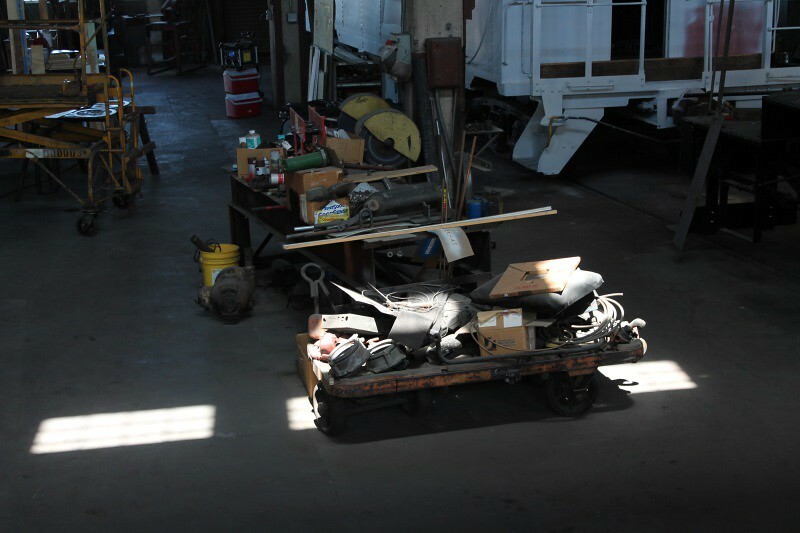 A couple of the stalls are for the wheel shop. 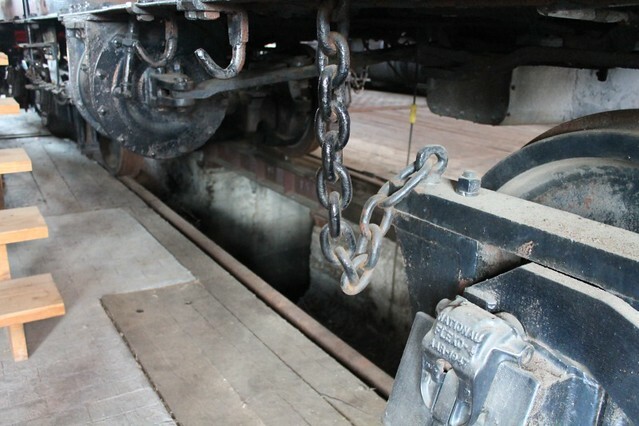 You can see how workers could easily work on the underside of the trains to repair and replace wheels. 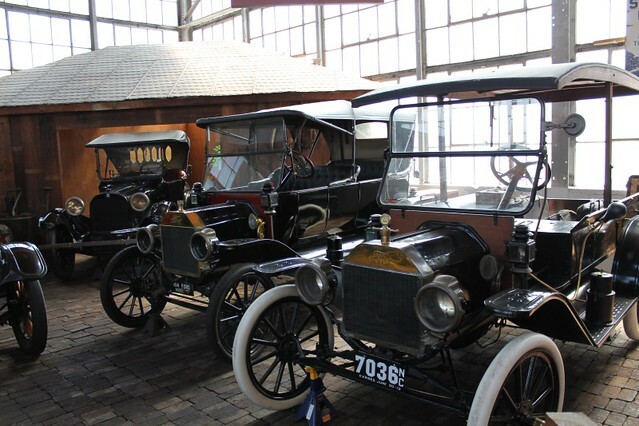 and numerous other antique automobiles. This isn’t just a collection of cars haphazardly placed in a building. 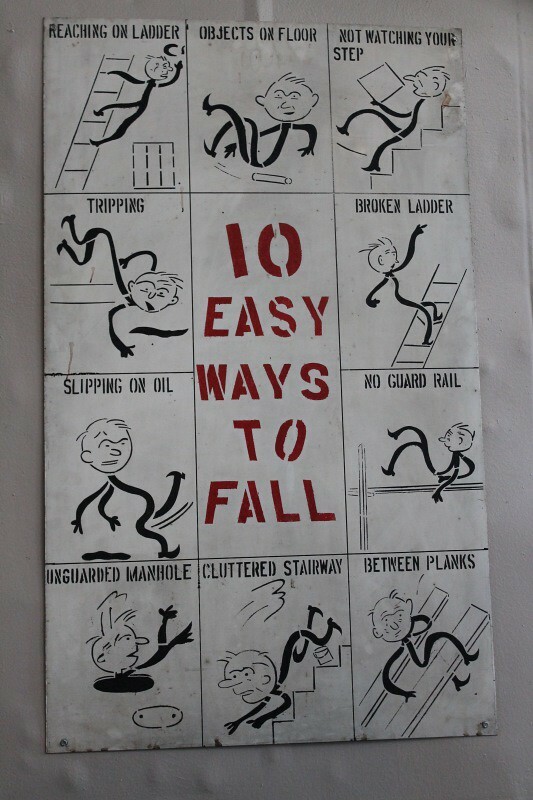 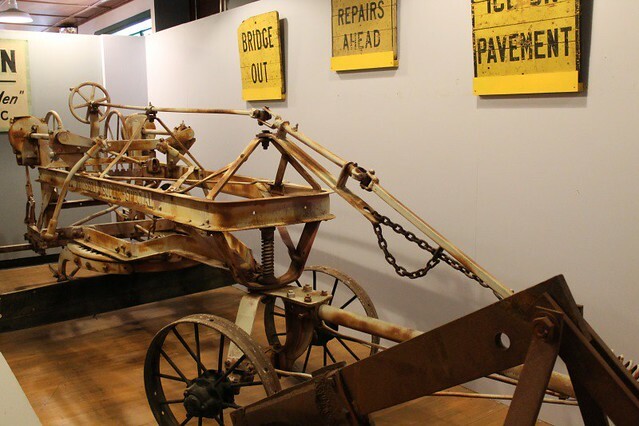 There are other items on display related to the history of transportation adding to the overall theme. 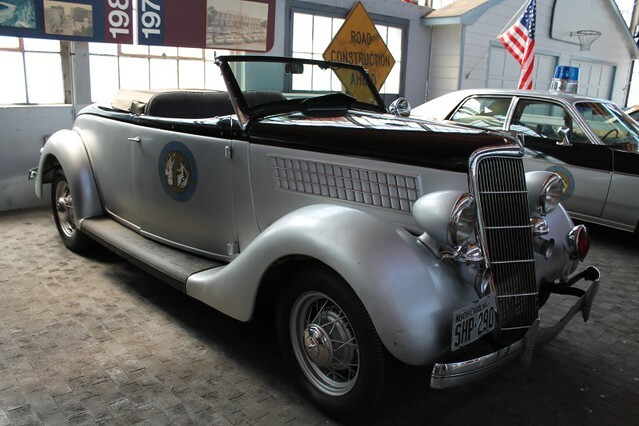 and a 1935 patrol car. Next we will take a quick look at the massive Back Shop that is as long as two football fields and 150 feet wide. 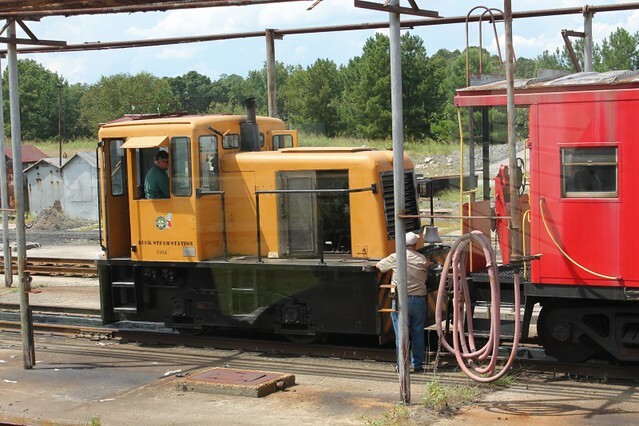 During the peak of operations, one locomotive would be completed and restored to service per day while 10 – 15 others were being rebuilt simultaneously. The outside of the building has been renovated and repaired and when the inside is complete, it will serve as the crown jewel of the museum. 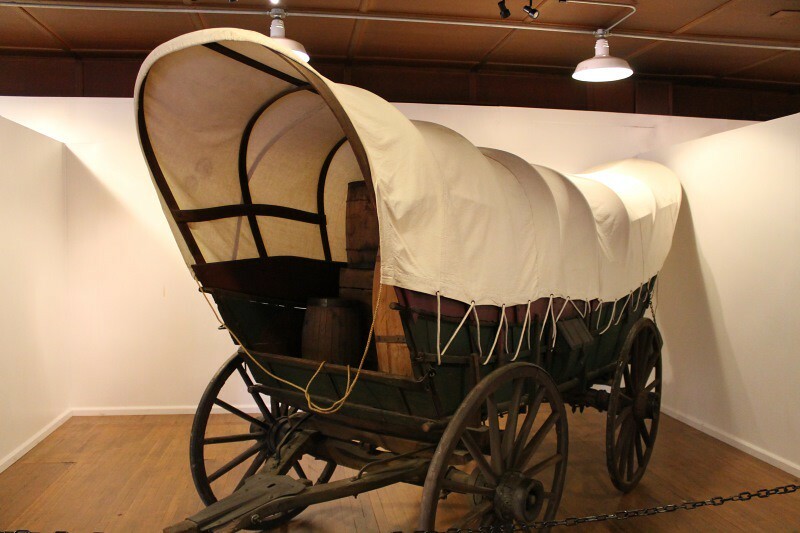 In the meantime, it is being used to safely store some of the exhibits while funding is being raised to complete the renovation.. 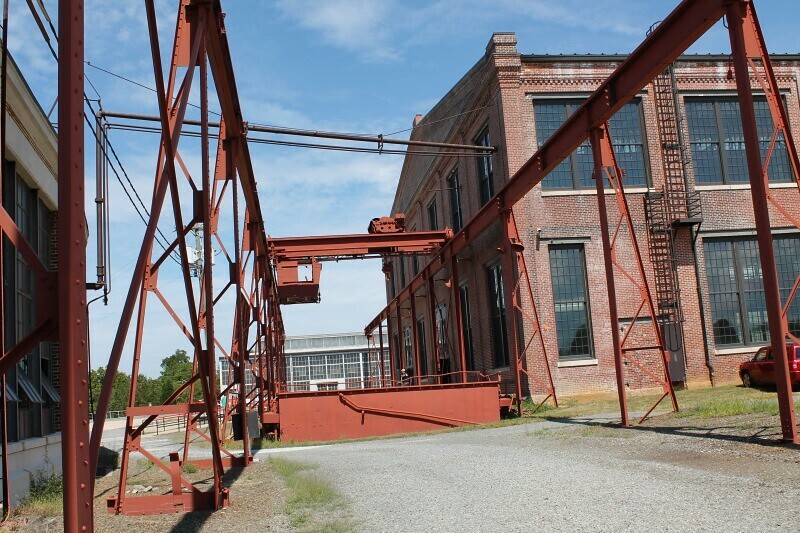 Visitors are able to catch a glimpse of the back shop through a viewing platform on the south end. 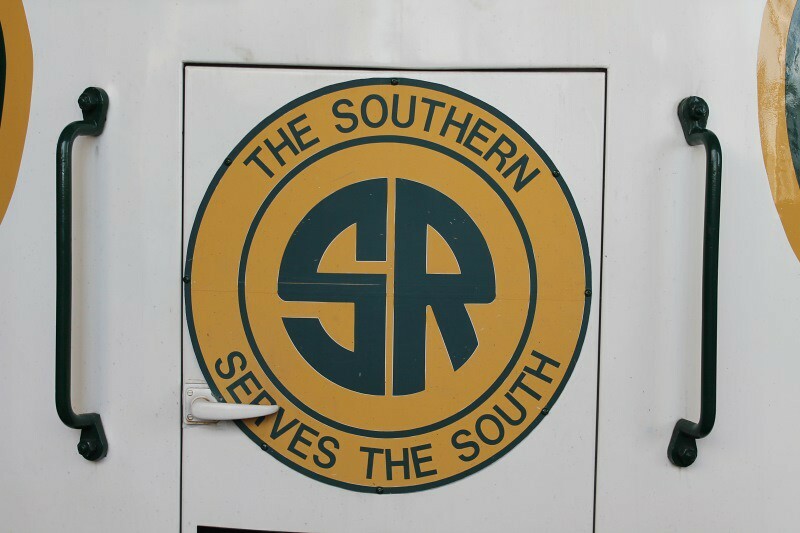 We are always concerned about safety so we felt you should be aware of this as were the employees at Southern Railway Company. 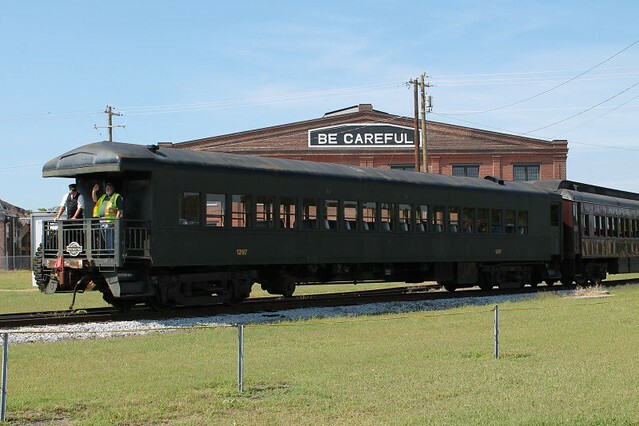 While the public accessible area of the museum is only part of the 57 acre complex, the transportation history of North Carolina will live on for many more years on the property that formerly belonged to Southern Railway Company. 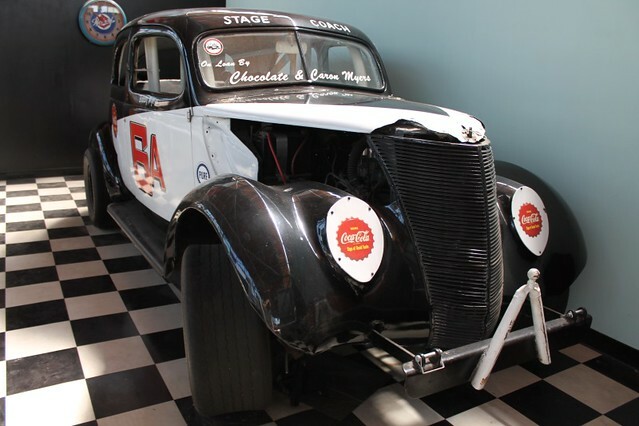 In the 24 years that the museum has been open, it has continued to grow. We look forward to what the next 24 years will bring. 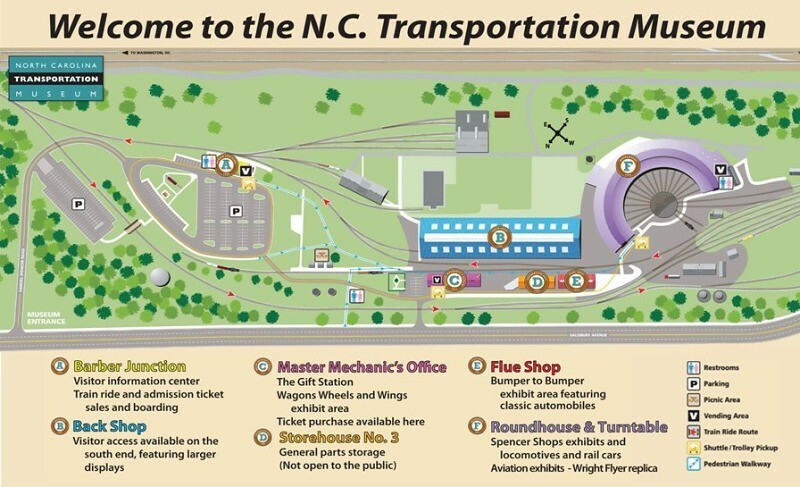 For more information on the NC Transportation, you can check out their web site.